(l-r) Dana Rudy (International Pacific Halibut Commission), Jim Johnson (Deep Sea Fishermen’s Union) and Tracee Geernaert (International Pacific Halibut Commission) after a not too hard day aboard the F/V Tordenskjold. Hands on learning - fishing science, technology and technique aboard the F/V Tordenskjold. 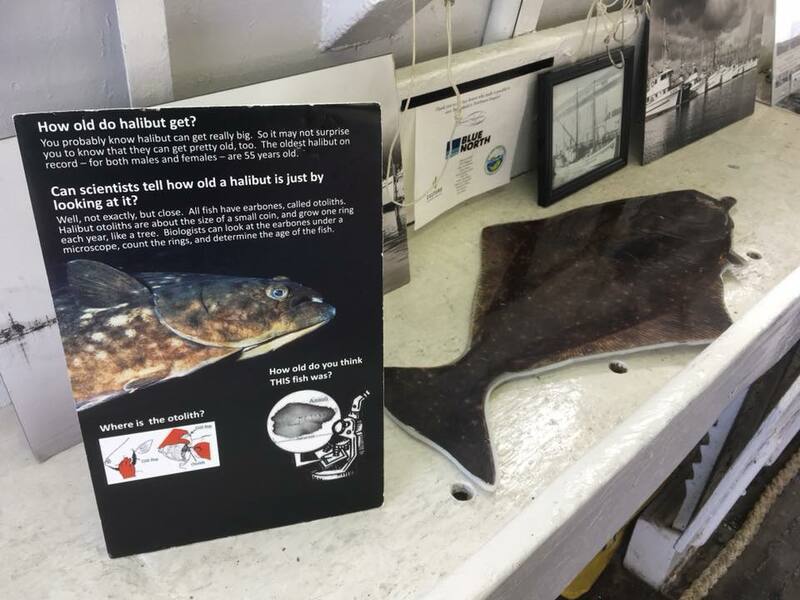 10 minute outdoor lecture by IPHC and DSFU staff and then hands-on learning and exploration of Halibut and Sablefish fisheries and the historic F/V Tordenskjold. Well over one hundred Seattle youth convened today at Lake Union Park to learn about maritime career opportunities. They were exposed to Seattle and Puget Sound maritime history and learned some of the historic context of today's modern Seattle and Puget Sound maritime industries. The historic F/V Tordenskjold served as classroom where young people learned about the commercial Halibut and Sablefish fishing industry and the roles the International Pacific Halibut Commission, Fishing Vessel Owners' Association and the Deep Sea Fishermen's Union have played for over 100 years. Nathaniel Howe, Executive Director of Northwest Seaport said of the Tordenskjold, "we do not want Tordenskjold to be an icon for the past alone; it represents the fishery today and points to its future. That’s why we’re preserving her in her 2012 configuration, not 1911. The boats and the fishery are about long-term sustainability and achieving that has required changes over time—changes visible in a hundred year old wooden boat with an aluminum bait shed and a classic old varnished wheelhouse packed with modern electronics. It spans the centuries."